With the color of amber and shades similar to that of red wine or cognac. It has an exquisite aroma and a unique spicy but also sweet taste which has a long lasting effect. It is higly nutritious and rich in antioxidants minerals and metals. 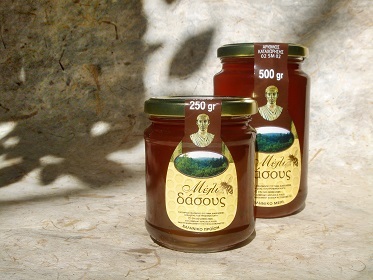 Τhe dark color and the unique woodsy taste of this honey,is a result of many nectars and honeydews blended with natural harmony by the bees :hestnut,oak beech and goats are some of the herbs and flowers of the forest which constitute this variety of honey. If not the most dominant, certainly one of the consumers’ favorite. It’s barley flavor combined with a unique and subtle sweetness captures even the most demanding of consumers. Fir honey is mainly produced by the secretions of the “Physokormes hemictyphus” and is enriched with nectar from a variety of mountain herbs. It has a very unique dark color and comes in a number of shades depending on the areas where it is produced. It has a slow paced crystallization rate , which allows the honey to preserve its liquid texture for a long period of time. It is rich in minerals with antiseptic and diuretic properties. Thyme has been well known since ancient time as a bee plant which offers bees nectar and pollen and through this the crowing of greek honey is made. 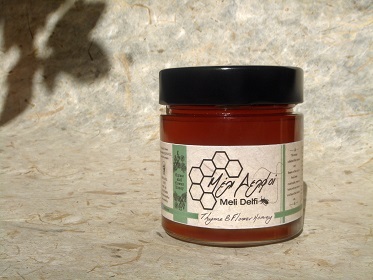 This special monofloral honey is characterized by the distinct aroma and rich flavor of thyme. 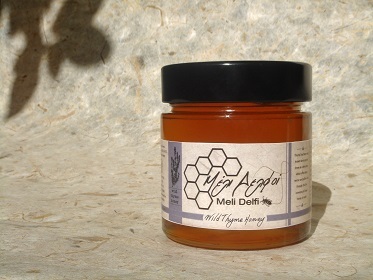 Also, wild thyme honey ,is known wordwidely as the Hymettus honey. 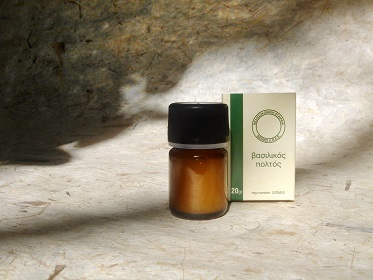 Thyme honey, excellent honey and characteristic of the greek countryside, which comes to take off from a variety of herbs. 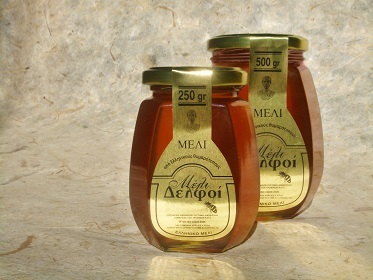 Nectar collected from thyme and flowers of the rich in flora Greek countryside create a honey with an aroma and flavor that stands out. 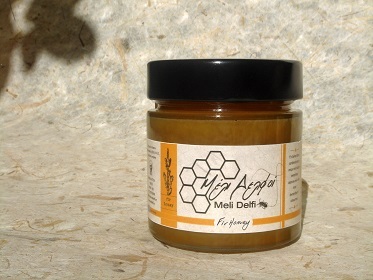 The royal Jelly is a product which is secreted by the glands of the bee in order to feed the Queen bee. This accounts for the Queen bee’s larger size as well as fertility and longevity. The honey contains 12-15% protein, 60% water, 10-12% of sugar, 3-7% lipids, minerals, amino acids and vitamins. It provides essential nutrients for the body by contributing to its proper functioning and improves the metabolism. 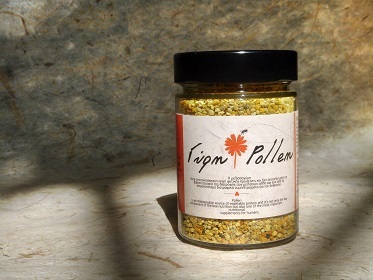 Bee pollen is an irreplaceable source of natural protein and it's not only the key component of the bee nutrition, but also one of the most important nutritional supplements for humans.